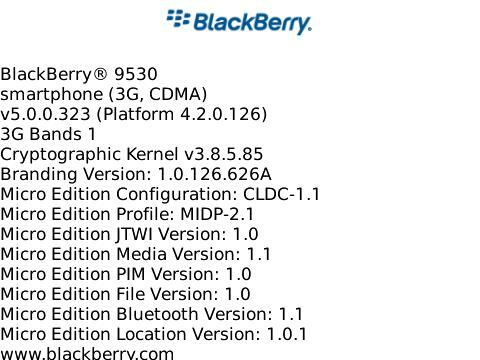 Leaked: OS 5.0.0.323 for the BlackBerry Storm 9530! I noticed a thread in the CrackBerry forums yesterday begging the OS leak gods to drop 5.0.0.317 for the BlackBerry Storm 9530 sometime soon. Not wanting to let anybody down, I thought we could do one better... so here's OS 5.0.0.323 for the BlackBerry Storm 9530. Word is this potentially has what it takes to become the official 5.0 build that first gets rolled out, but keep in mind that can always change. But one thing is for sure... with so many Storm1 owners waiting for Verizon to announce Storm2, there has never been a better time for a leak to keep everyone occupied! Be sure to check the forums for findings. And while you're waiting for the OS to download and install, you can kill the time by watching some Entry Videos in our I Love My CrackBerry Contest!